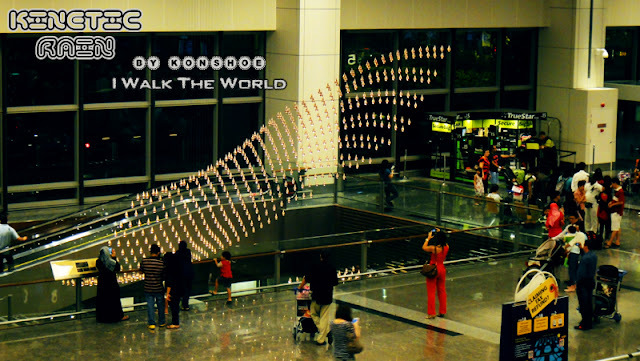 Most frequent flyers into and around the South-East Asia region will be quite familiar with Singapore's Changi Airport. 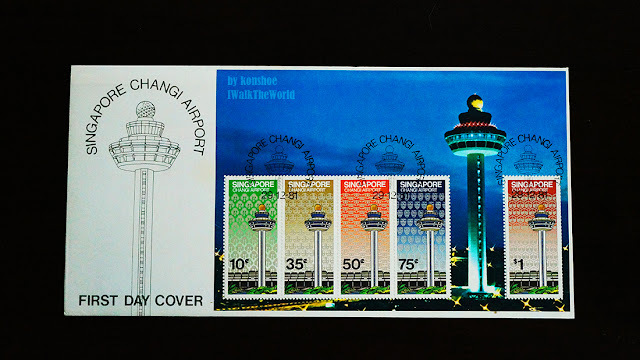 Being a pride of the island republic, this jewel of an airport won numerous awards since its operation and is recently immortalized in the latest Singapore 20 cents coin as was shared in my article The New Singapore Coins. Featured on this FDC are the control tower, an icon of most airports, and Terminal 1. The logos of the most involved departments are featured in the background of each stamps. They are, according to the arrangement of denominated value, the Parks and Recreation Department, Public Works Department, Telecommunications Authority of Singapore, Port of Singapore Authority, and Department of Civil Aviation. Prior to its operation in 1981, Singapore has a total of 3 civilian airports - Seletar Airport, Kallang Airport and Paya Lebar International Airport, the final of which started operating since 1955 (which was before even Malaysia's independence). The rise of global aviation demands however forced the government to contemplate 2 options: an even larger airport at another location or upgrading the existing airport. After reviewing several considerations, the former approach was finally selected (read more through Wikipedia). 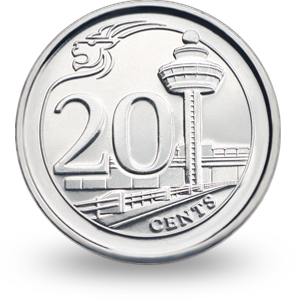 The airport is immortalized in the recently launched 20 cents coin (image taken from MAS Third Series Coins website). The airport seen today did not take shape immediately upon construction. Terminal 1 was the original building completed and unveiled in 1981, which became the main focus in this First Day Cover. Terminal 2 was completed back in 1990, Budget Terminal in 2006 (which was closed in 2012 as was shared in Changi Budget Terminal - Before the End of Days) and Terminal 3 in 2008. One of the main driving force behind its popularity is its ability to fend off boredom. Whether you are in transit, awaiting boarding or waiting for your loved ones to arrive, there is always something for passengers and visitors to engage in. A butterfly garden in Terminal 3 and a kinetic sculpture are but a few of the engaging and awe inspiring items housed in the airport. Shopaholics can indulge in their favorite pastime within, regardless of whether they are passengers. The same goes for foodies with the range of restaurants (one of which was covered in my article Fish and Co @ T2) available to fill your tummy with. A photo from my past article Kinetic Rain @ Terminal 1 (T1), Changi International Airport. The logos of the most involved departments are featured in the background of each stamps. They are, according to the arrangement of denominated value, the Parks and Recreation Department, Public Works Department, Telecommunications Authority of Singapore, Port of Singapore Authority, and Department of Civil Aviation. As it was still early (11am) there was no queue.